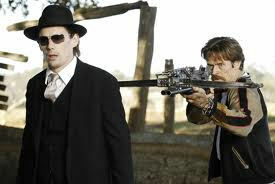 Ethan Hawke is an actor of uncanny skill and ability. He is underrated and very honed on his craft and has been featured in many great films throughout the years. Born in Austin, Texas in the United States, he first picked up acting at the age of 14 with his mother’s permission and has since been nominated twice for Academy Awards as well as a variety of other awards. His fourth child, a daughter, was born just two weeks ago and was named by her parents, Indiana Hawke. There has been no information from the Hawke family about this topic, but sources are saying that he is as proud to be a father as he ever has been. Hawke is to feature in upcoming films Total Recall and Boyhood and has in the past been involved in such films as Before Sunrise, Training Day, Before Sunset, Assault on Precinct 13, Lord of War and Daybreakers. Comments for Ethan Hawke’s Fourth Child Arrives are now closed.